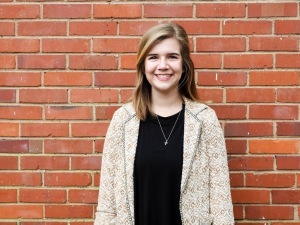 Today we talked to Elizabeth Hall for our Fellowship Spotlight. 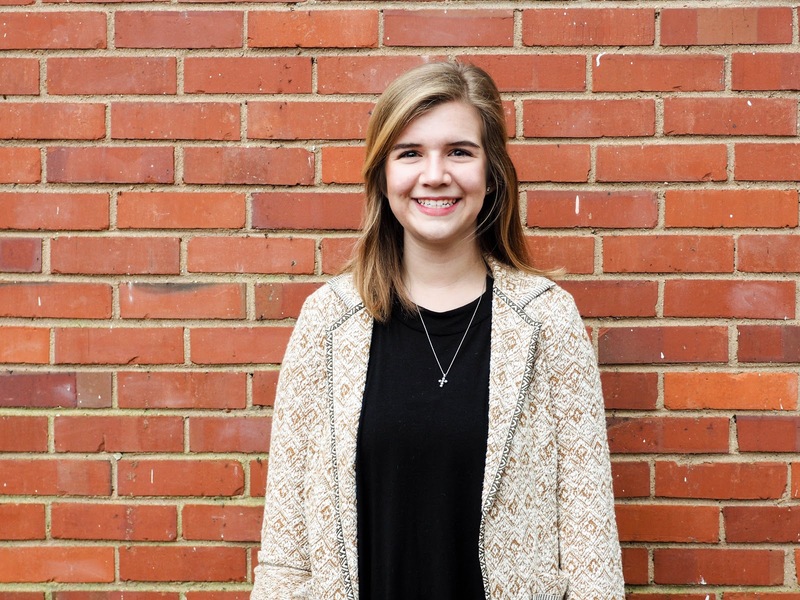 Elizabeth shared some of her favorite places in Athens as well as what she is looking forward to during her time in the public relations department with the Spencer Frye Fellowship Program. I wanted to learn more about the different areas of public relations, and the Spencer Frye Fellowship Program presented the opportunity to familiarize myself with the policy and political side of public relations. Additionally, I was interested in the community perspective of the program to learn about writing about local businesses and getting to know Athens as a whole. What is your role as a Fellow for the Spencer Frye team? My position as a public relations fellow for the Spencer Frye team is to create graphic designs and also serve as photographer. What do you hope to learn as a Fellow? I hope to learn more about another side of public relations and get a better idea of what I would be interested in doing after graduation. Additionally, I intend to learn more about public relations in local and state politics while getting to know Athens, Georgia better. My plan right now is to graduate college next year and go into public relations. I am open to any opportunity that presents itself. However, I would prefer to work creatively through public relations and graphic communication while still using Spanish to some extent. What do you love the most about Athens? I love that Athens is first and foremost a community. The atmosphere that I have experienced during my first three years here has been unlike any other, and I have truly found a home with the people and the places here. My best experience so far has been exploring Athens with my friends and showing my family around when they visit. I love going on little adventures in the nooks and hidden spots of Athens. Most recently, my sister came to visit me, and we went to Iron Works to drink M&M hot chocolate. Then we drove around Normal Town to find the Tree Room, which is an old brick building with a beautiful tree growing right through it. My favorite place in Athens is breakfast at Ike & Jane. Combine a donut with some sort of delicious cereal you were never allowed to eat as a child on top, coffee in a green mug, and a few really good friends having a conversation…that’s what the best and the tiniest memories are made of. Jimmy Fallon! Anything he does is guaranteed hilarious. I have been playing tennis since I can remember and right now I get to help coach tennis at a local middle school. I also love writing my friends letters, painting and calligraphy. If I could spend a day with anyone, it would be Hilary Duff. I had all her CDs growing up and literally wanted to be her. One time, my best friend had Lizzie McGuire jeans from Limited Too and I was SO jealous because they were awesome. I think we would have a great time hanging out, honestly. The last book I read was The Lion, The Witch, and The Wardrobe from The Chronicles of Narnia by C.S. Lewis. But my favorite book ever is Cold Tangerines by Shauna Niequist because it is all about fully enjoying life. Coffee, every time. Right now I really love espresso because I got a Moka Express stovetop espresso maker and it is the best way to start my morning. Nicaragua is my favorite place on the whole earth. I have been there twice, once to Padre Ramos and another time to La Finca, a Young Life camp outside of Jinotega. Nicaragua is a unique place that holds a myriad of memories, the Spanish language is truly beautiful and the people there know and share their community. Any opportunity to speak Spanish, meet new people and drink plenty of coffee is a gift. Cali N Tito’s. Two fish tacos with extra pink sauce (not chipotle sauce) and an order of maduros. Not a side of maduros, an order has way more. There are two locations and they’re both so great!